Kevin and Taylor are accomplished sailors, with an adventurous spirit, and a professional service background, which they will deliver on every charter! After meeting on separate day charter boats in 2016, Kevin and Taylor’s love for sailing and being on the ocean brought them together. Since then, they have traveled halfway around the world together, meeting new people and learning about different cultures, bringing back, unique experiences for their charter guests. With their eye-opening stories, ultimate adventures, and additionally, having an end goal of sailing the world, you are sure to be intrigued from the start. They are extremely detail oriented, personable, professional, and will make anyone’s time on the water with them, wanting more! He has crewed and worked on all types of boats during his time in the Virgin Islands as well as mastering free diving, spear fishing. He loves all aspects of being in, on and under the water. With these skills Adam offers ´Sea to Table´ options bringing fresh caught dinner to the table. 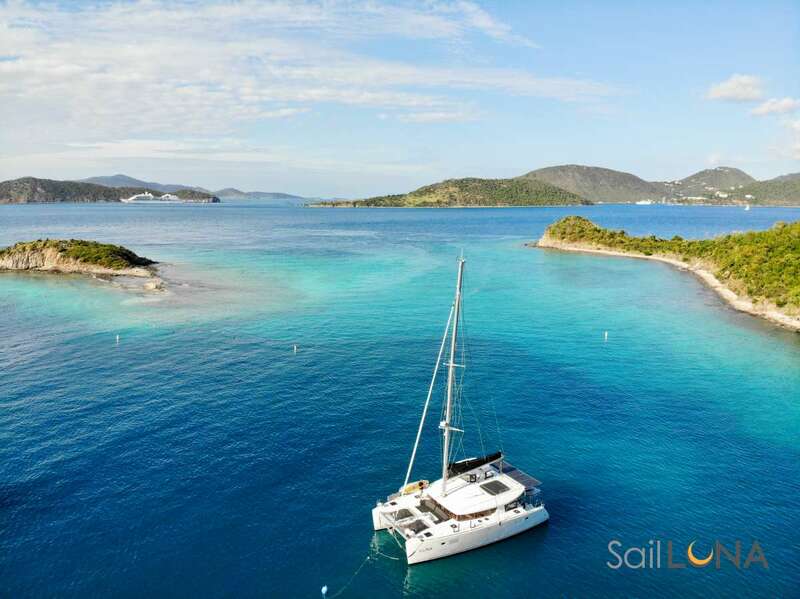 Offer: Trance Atlantic is offering a 5% discount for any charters booked for the summer - May - July, 2019. Send us an inquiry to get specific pricing for Trance Atlantic. Thank you so much Kevin & Taylor! This week was a blast! Thanks Kevin for teaching me how to equalize underwater, taking me through underwater tunnels, and taking us skurfing all of those times. Thank you Taylor for taking us on the hike on St. John and cooking amazing food for many different diets. Thank you for being such nice hosts and making us comfortable and happy on the boat. Kevin & Taylor were so attentive to our needs, like having to cook for vegetarians and those like fish or steak. They were also awesome guides to the the islands and hidden spots for snorkeling, beaching, hiking, skurfing! Kevin spent hours skurfing with the kids, so us parents could relax and enjoy Taylor’s boat drinks. ;) I can speak for The Who family (except Chris who slept through) we will be playing Shanghai for years to come! Thanks for teaching us to play (and letting Camden win!). We hope if you come to Colorado you will look us up for another round. Taylor was so personable, we found so much in common between our lives and family in Colorado and St. Augustine. I am amazed at her drive and tenacity to work hard and build her brand. Good luck as it continues to grow! Beyond being a confident and comfortable captain, we found Kevin sense of humor to be hilarious. I was glad to see Kevin and Taylor get out and play on the skurfboard, and snorkel and hike with us. We loved our sailing trip, it was exactly the mental and physical break away from the Colorado snow, in the middle of winter, that we needed. We will always remember and treasure the BVI’s and I am sure we will return. Thanks again so much for a great awesome time. Lasting Memories and Two New Friends! was abundantly clear from our first stop in St. John, the love you both have for the islands and the love the people here have for you. That made us feel so welcome everywhere we went. We wish we had one favorite memory but this book is too small to list them. Taylor, the food you cooked was tremendous and we enjoyed all of it. And you are hands down the BEST mooring ball hookarrr these islands have ever seen. You guys make a great team, we have no doubt you will make lasting memories for tons of other guests. Available Everyday: Yogurt, Fresh Fruit, Granola, Coffee, Tea and Juice.